BGO Casino has the uncanny ability to surprise players with its special offers and original promotions. That’s precisely what prospective members can expect right now, with the arrival of BGO fair spins. Those who sign up for an account and make a deposit will be eligible for a brand-new and original welcome bonus consisting of 50 fair spins. The name has a special ring to it and these bonus rounds have all the advantages of traditional free spins and something more. BGO casino fair spins are an original concept and one that is here to stay. New members who claim the fair spins bonus will receive free spins that come with no strings attached. This means that there are no wagering requirements to worry about after converting these bonus rounds into cash. The money you win by spinning the reels of fair spins slots are yours to do whatever you like with it. Winning players can cash out their profits or use them to play entirely different games, such as video pokers or table games. That is what BGO calls fair play! Another important thing that changes for those who claim the fair spins is that the casino has removed the maximum winnings cap. Players who choose to spin the reels of fair spins slots that carry a progressive jackpot can actually win a life-changing amount and all their winnings. BGO is offering a total of 50 casino free spins that are subject to no such rules, so players should take advantage. To say that BGO fair spins outshine regular free spins in every imaginable way is not an overstatement. The simple fact that the casino will pay in cash every win resulting from spinning the reels makes them truly special. To put things into perspective, regular free spins will require players to wager the resulting profits up to 50 times before cash outs are permitted. Very few people actually manage to meet all the play through demands without losing the money. The BGO casino fair spins are not an elusive bonus, but one that can actually be redeemed and enjoyed by participating players. Equally important is the fact that there are no maximum winnings, so the sky is the limit and all you need to do is to get lucky. 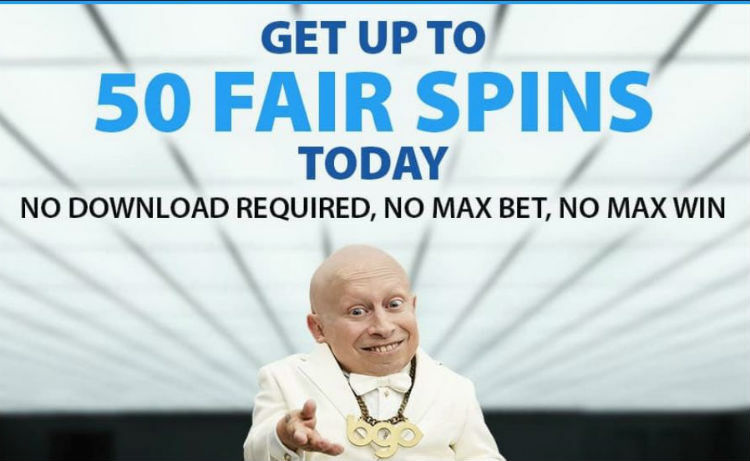 Players who sign up for a new account at BGO are automatically eligible for the fair spins. To get in possession of these special free spins they need to make a deposit and for each euro invested, they receive one fair spin. A minimum deposit of €10 is needed, but players want to make the most of the welcome bonus should make an investment of at least €50. The next step is to turn your attention to fair spins slots since these are the qualifying games. Starburst, Hansel and Gretel, Aloha Cluster Pays and Shangri-la Cluster Pays are the top-rated slots developed by NetEnt. This is pretty much all that players need to do to claim one of the most exciting free spins bonuses available at BGO casino.